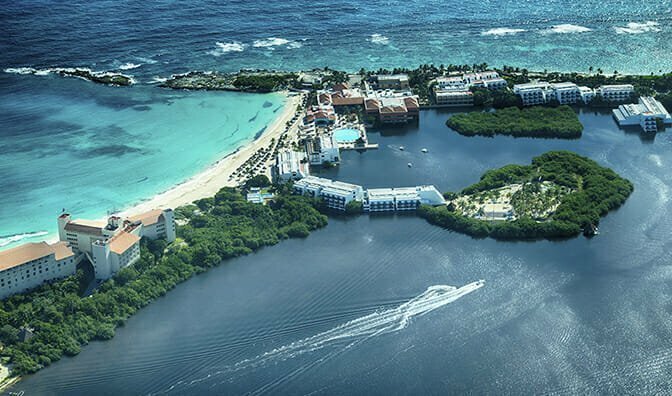 Years ago, I traveled with my family to the new and intriguing Mexican resort of Cancún, a collection of a mere dozen hotels along the Atlantic coast. The attraction for us as North American visitors was a warm, hospitable vacation at affordable prices. Once there, we took a rickety ferry to Isla Mujeres, the Island of Women, and wandered the streets filled with native merchants, then later swam off the reef at the end of the island. Another day, we rented a frighteningly ancient car and drove west for a couple of hours to one of the great wonders of the world, the Mayan ruins of Chichen Itza, a must-see for anyone traveling the area. 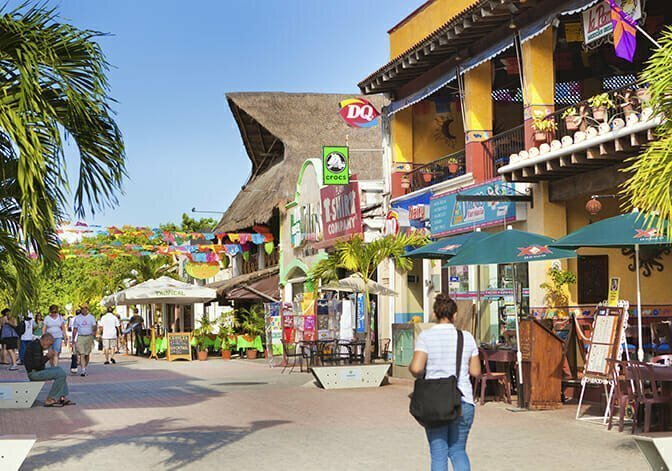 A few other days were spent driving down a blacktop, two-lane highway to Puerto Aventuras then taking a rusty ferry to the Island of Cozumel. But most of the time, we relaxed for long, lazy days in the sun and ate in restaurant huts on the beach. We felt like adventurers exploring and enjoying an untouched area of the world. As the years went by, more and more people discovered the incomparable charms of this part of Mexico. 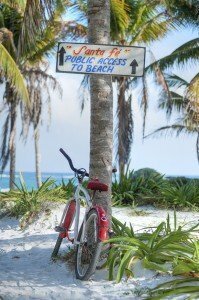 Resorts began to spread south from Cancún along seemingly endless beaches and pristine real estate. Now, over one million Americans and Canadians are living on the Atlantic coast of Mexico. 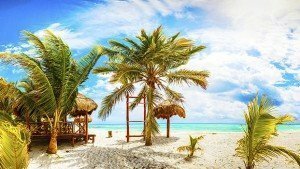 Cancún is the number one vacation destination in all of Latin America, with the Riviera Maya following as number two. 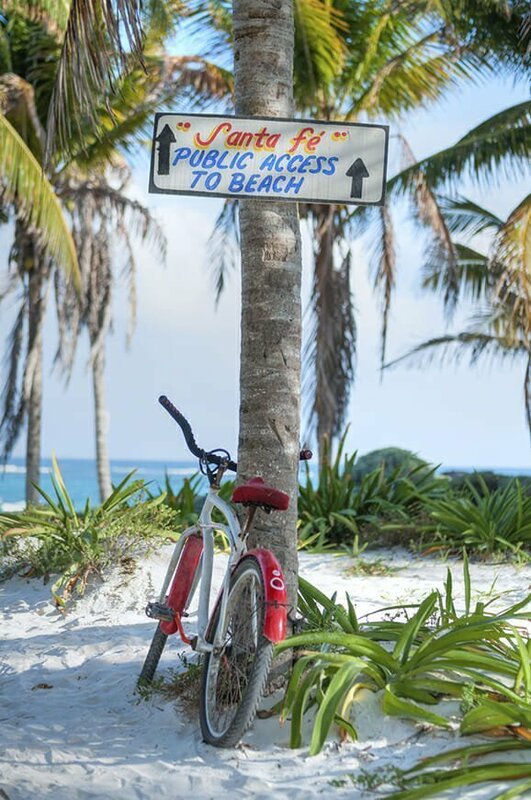 People are coming, falling in love with Mexico and staying. They are expats who have made the transition to a warm, embracing climate with endless charms. 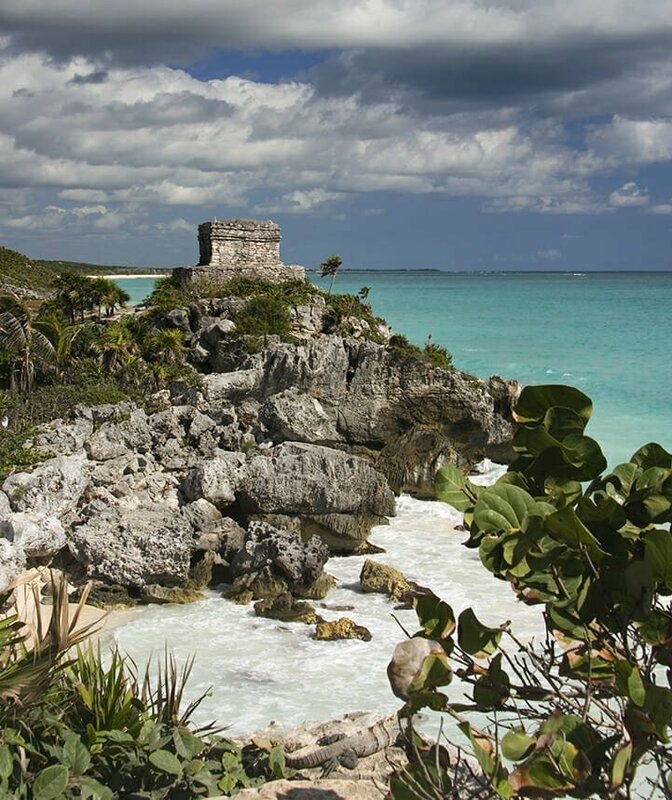 Today, the 127-miles between Cancún and Sian Ka’an hold some 356 hotels and counting. And it’s no wonder. The area is filled with natural marvels, ecological reserves, emerald green jungles, turquoise, blue seas, plus almost countless lost cities of the ancient Mayan civilization, cities buried by dirt and jungle only now being discovered and unearthed. 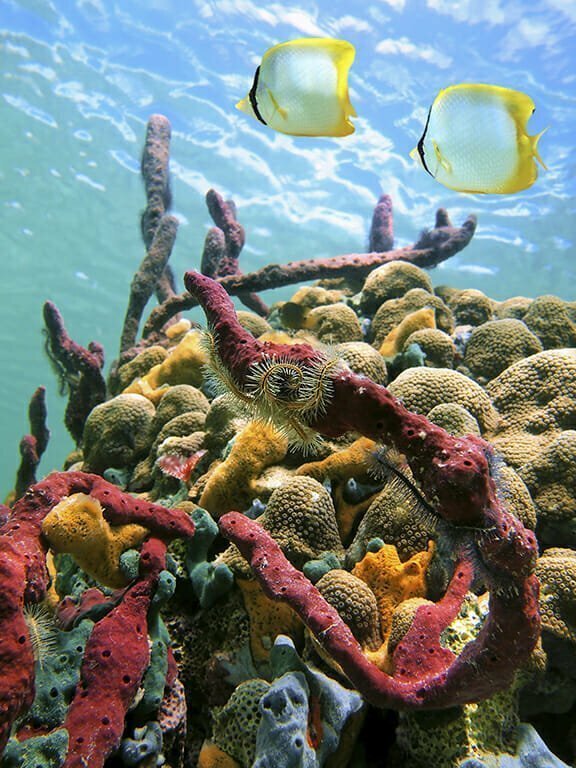 Because of these wildly diverse attractions, the Riviera Maya is like no other place. Where else can you explore the fantasy world of the Mayan ruins of Chichen Itza, Tulum or the huge, almostuntouched, site of Coba, then swim in a warm turquoise ocean before having dinner in a world-class restaurant? or heavy development along the beach. Just beautiful,” said Audry Scott in her travel blog. The white sand beaches and electric blue waters are an almost universal draw to the entire area. It goes on and on: golf, tennis, diving on the world’s second longest reef, sailing, fishing and exploring until you drop from sheer exhaustion for a night’s sleep under a crystal clear Mexican sky. Even though there has been enormous expansion in recent years, Mexico wants to protect this crown jewel of nature. Careful resort planning has been a primary government objective, with infrastructure improvements in roads, electricity, water treatment and communications. the turning tide and are taking active steps to address environmental impacts and integrate local culture into their operations,” says Angela Dollar in her blog. With all this said, what is it really like? There are some far-sighted people who were unable to resist this lifestyle once they had experienced it—people who made the decision to stay. 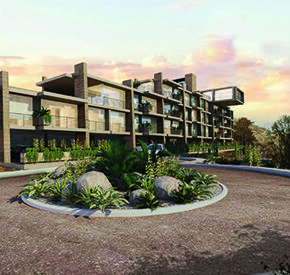 A two-year resident at the Tao Residential Community in Akumal, Anne deBose and her husband made the move from Texas, choosing a three-bedroom home close to the beach and a Robert Trent Jones golf course to satisfy their individual and collective desires. 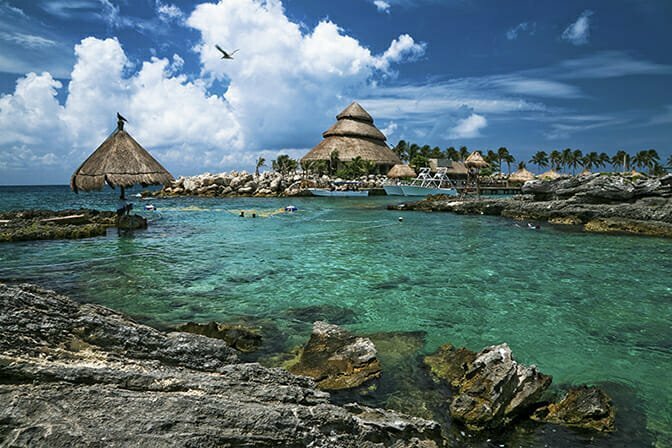 But there’s more to consider about the Riviera Maya than just beauty, natural attractions and amenity-loaded communities. Here are a few practical suggestions if you’re considering a move or the purchase of real estate. to and from 21 cities in the United States and seven cities in Canada. For most of these cities, there are multiple daily flights, giving you a good choice of departure and arrival times. Once there, having a car is helpful, but there are local transportation options that can get you where you wish to go using the collectivos and buses. Bike or scooter riding is the most simple and economical way to get around and the way a lot of young people prefer to travel. developers and architects do all they can to meet North American standards. 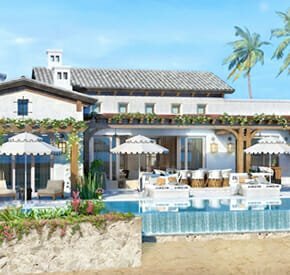 An important consideration for a foreign purchaser of Mexican real estate is to become well-educated about the buying process before making a commitment. Visit, stay in a community for a few weeks to see if it meets your requirements and do your homework. The subject of cost of living always comes up. Depending upon your standards and circumstances, you can live as inexpensively or as lavishly as you wish. However, basic commodities are similar no matter what your economic position. There are reliable telecommunication services, internet, modern malls and convenient banking, which can be used to access your home banking accounts. ATM machines that dispense both pesos and dollars are everywhere. With the low cost of labor, it’s easy to find help with housekeeping, gardening and maintenance, services that are more affordable than in North America. Mail delivery is often problematic, which leads many to go paperless and pay their U.S. bills online. But, buying products online is more difficult. UPS and FedEx are available, but are expensive if you wish to bring in items from the U.S. or Canada. There are shops that will accept a package for you for a nominal fee once your foreign purchase clears Mexican customs. Most services and products you’re familiar with are comparable, with a large percentage of goods available that you would normally buy up north. However, imports are generally more expensive than Mexican products. Like it or not, you’ll find many familiar stores like Costco, Sam’s Club, OfficeMax, FedEx, UPS, DHL, Home Depot, Starbucks, Haagen Daz, McDonald’s, Burger King and Wal-Mart. Fortunately, there are numerous English-speaking movies available. al for around 50 pesos or about $4.50 USD. Dining on the beach or at a more upscale restaurant will be more expensive, and the prices range from 100 pesos to 300 pesos or more. After breaking it all down, it’s possible to live on about 30 percent less than you can in an average U.S. city. That said, the most expensive utility in Mexico is electricity, the reason stores often leave their lights off until a customer walks in.